When Tara Donne left her career as a magazine photo editor for a life as a professional photographer, she had stockpiled a good amount of knowledge just from working in the industry. But nothing truly prepares you for the leap into freelancing. You need a little faith and a clear game plan to walk out onto those hot coals of independence. As she’s grown her career, Donne has traveled the globe shooting for editorial clients including Afar and Parents, and commercial clients such as Food Network and Barilla. But her greatest achievement, she says, is the work-life balance she’s achieved over her decade-long career. I recently interviewed Donne on Making Ways, all about the unexpected paths to a creative career. Here are some of the lessons Donne learned about successfully navigating the early years of a freelance photography business — or really any type of freelance creative pursuit. To hear more from Donne, listen to the 30-minute podcast episode here. 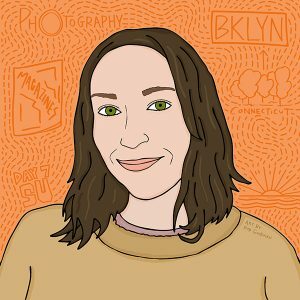 After graduating from Syracuse University with a BFA in art photography, Donne worked her way into photo editor jobs at domino, Real Simple and Martha Stewart Living. These full-time gigs allowed her to save a bit of a nest egg before striking out on her own. Savings are important, Donne says, because clients can often take a while to pay freelancers. “A lot of the time, you have a bunch of expenses for a job, and you don’t get an advance payment, so you have to pay for them with your credit card. Because you don’t want to pay interest on these expenses — and your clients are often not going to pay you back for the interest — savings are really useful, just to start a cash flow.” If you’re thinking about going freelance, start saving now, and if you’re already at it, do what you can to spend thriftily during year one and put aside some workable capital. There’s only so much one person can do. Though you may think you want to keep expenses to a minimum during your first year freelancing, Donne recommends “finding people [retouchers, stylists, assistants, etc.] who are the best at what they do as soon as you can possibly pay them — or maybe even before you think you are able to pay them.” They will help you do the best work possible. In the long run, Donne explains, “you’re going to save money and have a better product than what you might produce on your own.” There’s also the matter of focusing on the part of the work that you not only love but are the best at. “I don’t want to be a retoucher,” Donne says. “I want to hire really good retouchers, and I just want to shoot.” So build up that team of super-skilled colleagues and focus on bringing your best work to client. To see Donne’s work, visit www.TaraDonne.com, and to learn more about Making Ways podcast, visit www.MakingWays.co. Be sure to subscribe to Making Ways on iTunes and SoundCloud, and find out more at www.makingways.co.